I used card stock in all of the colors, to help ground this card. 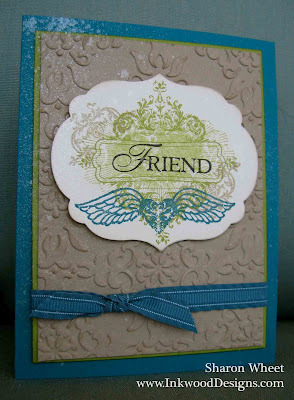 I ran the crumb cake card stock thru the vintage wallpaper embossing folder. Now, for my collage stamping. I started with the oval stamp. I did a second generation stamp of this image in the lucky limeade classic ink. 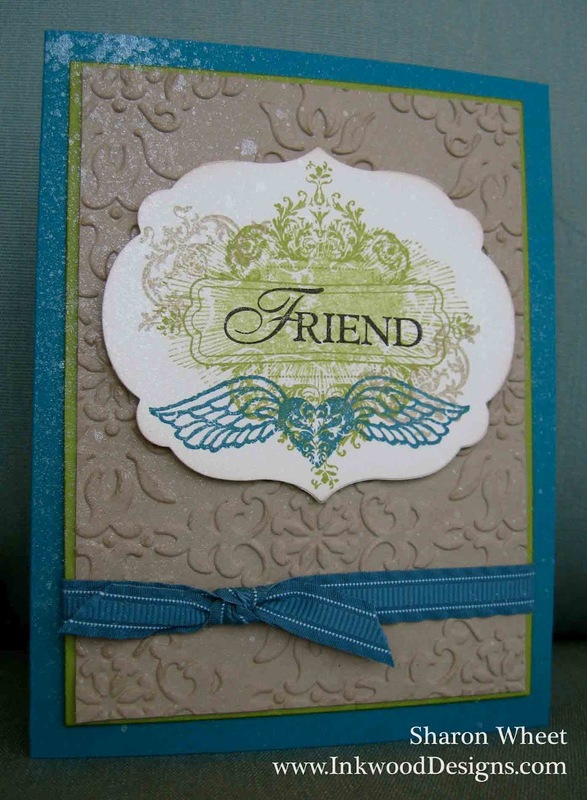 I then stamped over it with the diamond shape flourish with the label center in lucky limeade classic ink. I stamped the wings piece in island indigo over the lower portion of this collage. I added the small flourish in crumb cake classic ink in opposite corners. I used the Label collection to cut the shape. I added some dimensionals to the back of the 'label' piece. I tied some of the ruffled ribbon around the main piece. To give the card some sparkle and shimmer, I sprayed the whole card with some vanilla smooch. 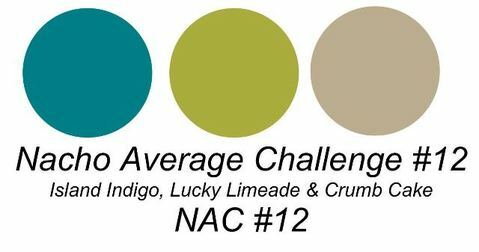 I hope you have found some inspiration, and don't forget to stop by and see what the rest of the design team has created @ Nacho Average Challenge. So pretty!! I love what you did with that stamp set!